While not everyone grew up in a small town, like I did, nearly everyone has been through one. Back in the 50’s, Fairmont WV was a bustling small city of 30,000 and the downtown streets were nearly always crowded with shoppers and business people. Both sides of the two four-block-long main streets and cross streets were lined with thriving businesses most of which were local, but also contained a G.C. Murphy and F.W. Woolworth. This was all before shopping centers, then malls, then Walmart that drove the final nail in the coffin of most towns like ours, however, Mt. Pleasant, SC has created a new one. Rather than a mall or shopping center, their Towne Center looks like an updated version of a 50’s small city downtown area but has the stores typically found in malls and outlet centers. Bev wanted to stop at a store she had seen so the pups and I drove around and snapped a few shots. For day-four of our FMCA Rally, we headed south of Charleston for three stops on John’s and Wadmalaw Islands hoping we could accomplish a few things on a very rainy day. The first stop was the Angel Oak Tree which is a huge Live Oak and believed to be more than 500 years old, some think maybe even 1500 years. It shades an area of 17,000 square feet and measures 187 feet across - note the people on the right side. For day three of our FMCA Rally, I laid out of the days activities due do swollen feet but the rest of the group went off in two directions – the guys went to Patriot Point Naval and Marine Museum to see the aircraft carrier USS Yorktown and other ships and the ladies went shopping in Mt. Pleasant City Center. While they did that I got everything ready for the evenings meal of Low Country Boil (Frogmore Stew). This dish, plus a few others, seem to be a requirement when visiting the Carolina Low Country and we decided it would be a nice group activity to have at the campground. I had brought my big pot, with basket, and turkey fryer burner from home so it was an easy one pot meal to cook for the group. Day two was a busy day in downtown Charleston, beginning with about two hours in the City Market– about 15 minutes gave me all I wanted. The market is a three block long collection on eclectic stuff and the only thing I bought was a glass of lemonade. Here is most of the group hard at it. 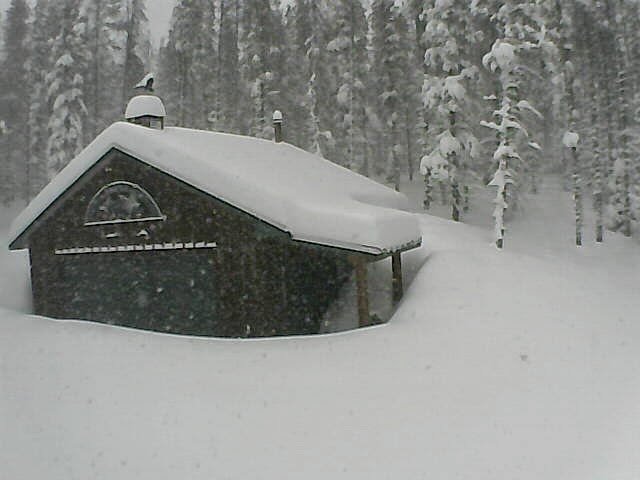 When Bev came in from walking the dogs on Sunday morning she commented that it was already getting hot so I showed her this shot of southeastern WY lifted from Wunderground. I hope all of you mom's had a great day on Sunday. As we got ready for hosting the Tennessee Travelers Rally, we had been trying to get familiar with the area and try some of the restaurants and this day it was lunch at Seewee Restaurant, located about six miles north of the campground. It had been recommended by several folks and got good ratings by the online customer reviews – it had also been described as a dive. And a dive it was - we got there about five minutes after opening time and had to wait for the outside padlock to be removed from the front door. I forgot an outside shot but was able to lift one from the web. While doing my morning blog reading I read the recipe and watched the video for Chicken and Shrimp Pepperoni from Chef Dennis on his site – A Culinary Journey With Chef Dennis. I’ve been following his blog since he was the chef at a private girls school, have always admired his cooking, and encourage you to stop by if you haven’t. In addition to his blog he is a big player in the Google+ cooking world. While exploring Mt. Pleasant, SC, we picked up some scallops and shrimp at a local seafood store and planned to grill them along with some asparagus from home, but after seeing the Chef’s meal, we decided to use it as a guide to make our dish, subbing scallops for the chicken and asparagus for the artichokes. 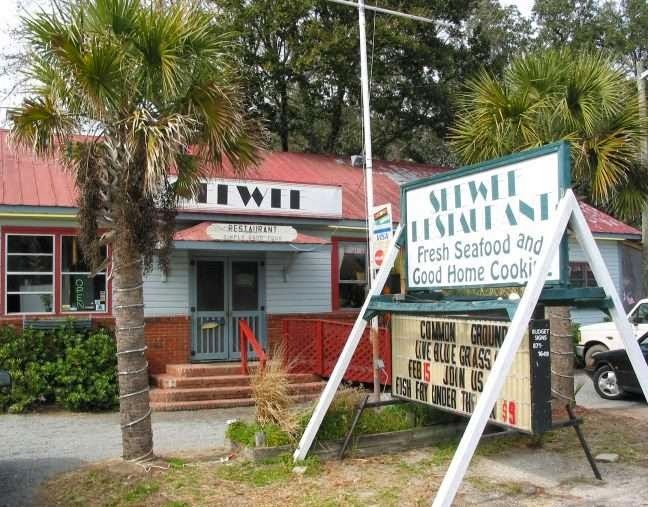 Bev and I had been wanting to visit the Charleston area since we purchased our RV and after getting the house sitter in place and arranging for lawn mowing, we finally made it. With Pat in Australia and Madison visiting her folks, it was just the two of us and Sweetie and Coco. We made it a two day drive spending the first night at the Magnolia RV Park in Kinards, SC which was a decent but pretty basic campground but with very friendly folks running it – it was fine for an overnight stay and they had a pull through long enough for us to leave the car attached. The next day we dropped off Madison in Sumter and drove on into Mt. Pleasant. As members of the Tennessee Travelers Chapter of FMCA, we agreed to kill two birds and host a chapter rally while there and we had a full week to scout out the area before the others arrived. We stayed at the KOA in Mt. Pleasant and had a nice pull through site. 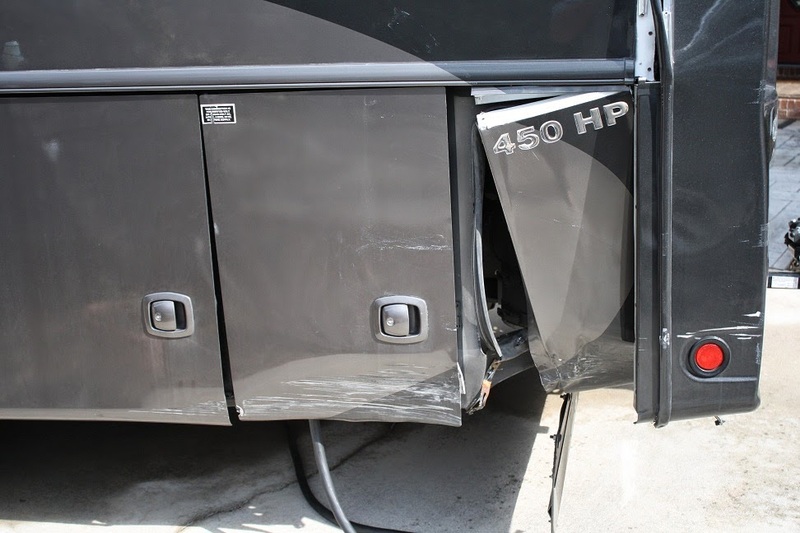 On our way home from Florida in February, I managed to get in a tight spot and let the rear end swing into a pipe and broke our beautiful motor home. 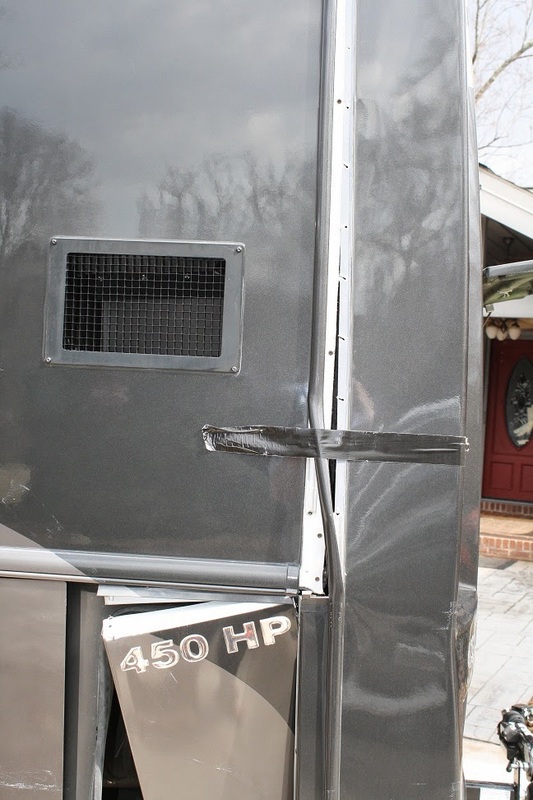 Nothing like a two day trip home with your RV held together with duct tape. Thanks to insurance and a local RV body shop we look to be as good as new and ready to get back on the road. I’m thinking I may not be smart enough to drive this thing. We would love to have you join us and asked that you let us know by May 15, 2014. Please feel free to pass this on. We’ll send out the final details to the attendees shortly thereafter.